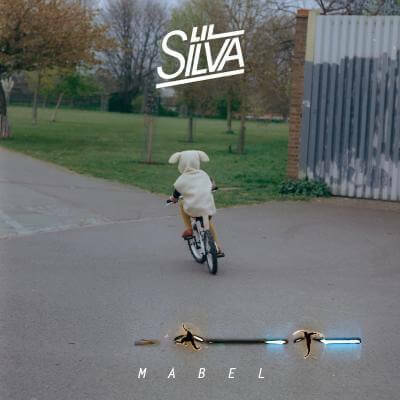 “You rep for the ends, now it’s time for the ends to let you go.” So begins the sample on “First Mark,” the epic opener on Lil Silva’s new Mabel EP, out August 5th on True Panther in the US and August 4th on Good Years internationally. It’s an apt statement as he faces 2014, having gone from the Macabre Unit grime crew in Bedford to the key producer on one of the biggest US pop albums of the year. But Lil Silva, real name TJ Carter, has always been inventive and evolving as a DJ and producer. He exploded onto the nascent UK Underground scene with “Seasons” in 2008, which evolved into the machine funk of Night Skanker for Night Slugs in 2010. By 2012’s Patience EP on Good Years he started to discover a new tender future sound. Collaborating with Sampha, who he shares his endless new ideas and sketches, they produced “Salient Sarah.” It gave him a newfound boldness to move things on. Now, still only 24 years old, he’s stepped up as songwriter and vocalist with the Mabel EP featuring two tracks with BANKS. His writing relationship with the Los Angeles-based pop-star has only gotten stronger since she sent him the track that became last year’s “Work,” having shaped her sound from the start and as one of the main producers on her forthcoming debut record, Goddess. The EP, recorded and finished between studios at his home in Bedford, London and Los Angeles, highlights this exciting, ongoing transformation. His voice is warm and rich on a bruised slow jam duet about seeing a woman with the wrong man (“Right For You ft. BANKS”) and in the strong stick-in-your-brain-for-months melody of “Don’t You Love ft BANKS.” On the EP’s title track, the old familiar Lil Silva is there in the weighty thuds and tinny kick, but the fluid R&B hook shows the new one is in control. Mabel is the artistic unfolding of a unique British producer. Both reppin’ his ends and gliding into uncharted waters.